Without warning or provocation an alien weapon appears above Earth and unleashes a blast that kills millions across two continents. A second such weapon could destroy the entire planet. In a desperate bid to save Earth and its people, Starfleet must change its mission from one of peaceful exploration to one of military service. Only the Starship Enterprise is fast enought to stop the production of a second Xindi weapon. But the crew cannot do it alone, and Captain Jonathan Archer accepts a contingent of Military Assault Command Operations personnel -- battle-hardened soldiers known as MACOs -- on board his ship. Starfleet and the MACOs are two very different services sharing a common goal, but divided in their views of how to attain it. It is a culture clash that echoes across centuries of military service. The men and women on board the Enterprise understand that somehow they must succeed in working together or the price will be paid in blood -- failure is not an option. Michael A. Martin's solo short fiction has appeared in The Magazine of Fantasy & Science Fiction. He has also coauthored (with Andy Mangels) several Star Trek comics for Marvel and Wildstorm and numerous Star Trek novels and eBooks, including the USA Today bestseller Titan: Book One: Taking Wing; Titan: Book Two: The Red King; the Sy Fy Genre Award-winning Star Trek: Worlds of Deep Space 9 Book Two: Trill -- Unjoined; Star Trek: The Lost Era 2298 -- The Sundered; Star Trek: Deep Space 9 Mission: Gamma: Vol. Three: Cathedral; Star Trek: The Next Generation: Section 31 -- Rogue; Star Trek: Starfleet Corps of Engineers #30 and #31 ("Ishtar Rising" Books 1 and 2); stories in the Prophecy and Change, Tales of the Dominion War, and Tales from the Captain's Table anthologies; and three novels based on the Roswell television series. His most recent novels include Enterprise: The Romulan War and Star Trek Online: The Needs of the Many. 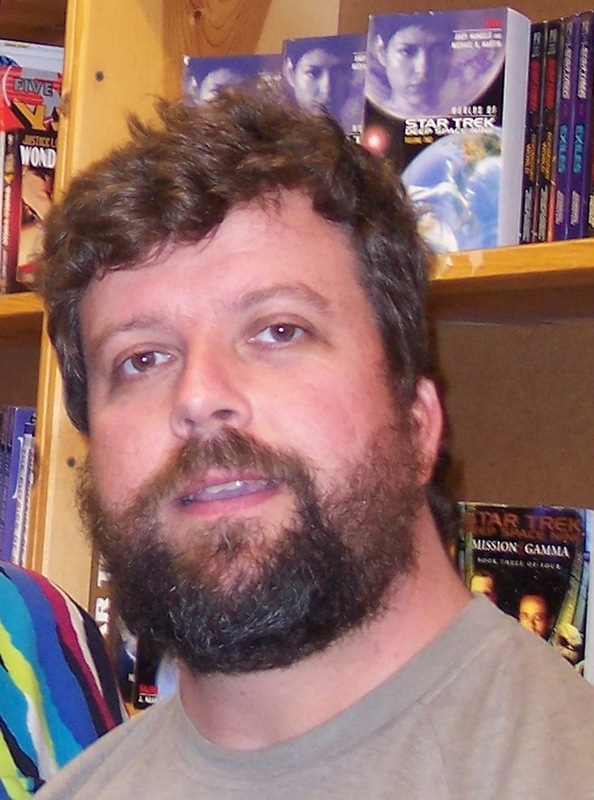 His work has also been published by Atlas Editions (in their Star Trek Universe subscription card series), Star Trek Monthly, Dreamwatch, Grolier Books, Visible Ink Press, The Oregonian, and Gareth Stevens, Inc., for whom he has penned several World Almanac Library of the States nonfiction books for young readers. He lives with his wife, Jenny, and their two sons in Portland, Oregon. 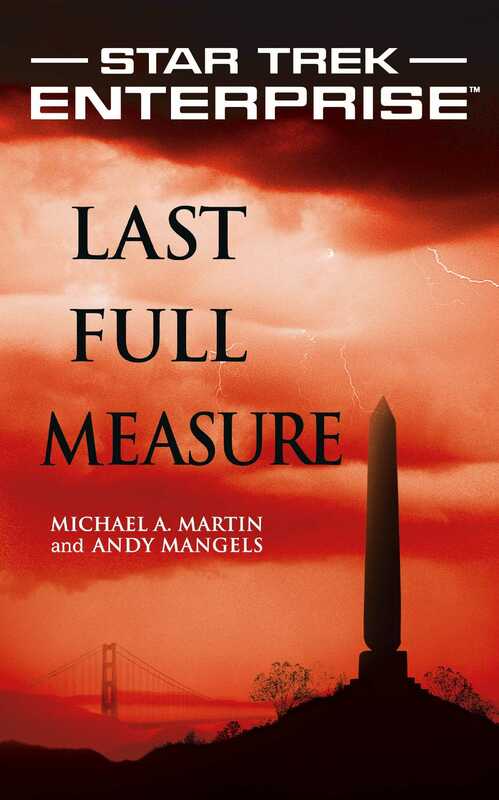 Andy Mangels is the USA Today bestselling author and coauthor of over a dozen novels—including Star Trek and Roswell books—all cowritten with Michael A. Martin. Flying solo, he is the bestselling author of several nonfiction books, including Star Wars: The Essential Guide to Characters and Animation on DVD: The Ultimate Guide, as well as a significant number of entries for The Superhero Book: The Ultimate Encyclopedia of Comic-Book Icons and Hollywood Heroes as well as for its companion volume, The Supervillain Book. Andy is a national award-winning activist in the Gay community, and has raised thousands of dollars for charities over the years. He lives in Portland, Oregon, with his long-term partner, Don Hood, their dog, Bela, and their chosen son, Paul Smalley. Visit his website at AndyMangels.com.